There has been plenty of public discussion about my view on wind farms recently, some more accurate than others. To set the record straight I want to clearly state my position to the community. Firstly, I believe that humans are responsible for global warming which is leading to long-term climate change. I also believe that we are obliged to try and do something about this, in the interests of our children and grand-children. Secondly, wind turbines can make a significant contribution to reducing the amount of coal burnt to produce electricity. This will reduce the amount of global warming that we face. The situation in South Australia clearly demonstrates this. Thirdly, I believe wind farms are a great opportunity for regional Australians to capture outside investment which will lead to stronger, more resilient local communities. They also allow farmers an opportunity to access a passive income stream that will assist them to manage their farms in a more sustainable way. As the climate becomes more unpredictable this will become more critical. Previous government drought support mechanisms have been shown to be ineffective and are being wound up. The necessity to subdivide farms to remain viable, with the consequent loss of productivity, is also significantly reduced. Fourthly, I believe there are huge opportunities for increased employment, local suppliers and businesses increasing turnover, accommodation and catering of construction workers and all the spin-offs from this increased economic activity. These benefits are real and long-term. If you don’t believe me, just spend some time asking some of the local businesses that have been involved with the construction of the Capital Hill, Cullerin, Gunning and Gullen Range windfarms. However, I believe that there is a better way to go about managing wind farm developments. I have been a strong and public advocate for a better planning mechanism than the current system, where turbine hosts receive income and others in the wind farm precinct don’t receive anything. This better way would include recognition of all landholders in the vicinity of proposed wind turbines, through scaling of rental payments to the proximity of turbines. Local councils should be writing these “rules” into their local Development Control Pans, rather than setting arbitrary set-back distances like the two kilometre exclusion zone that is currently in force. 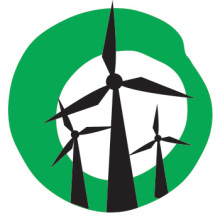 Amending the DCP in this way will create the incentive for local landholders to form an incorporated Association to represent their interests in negotiations with wind farm developers. This concept has been put to the Upper Lachlan Shire Council by myself and others on numerous occasions over the past seven years, but hasn’t gained any support. There are immense benefits to our landholders in this type of collective bargaining, and I believe the Council should at the very least be supportive of the formation of this Association (70% of rates in the ULSC come from farmers). Ideally the Council could facilitate its formation. This system will negate a lot of the jealousy the current system generates. While some will never accept wind turbines, many will realise that the value of their asset will actually increase, rather than supposedly decrease, even if they are not hosting turbines. I know this prospect will not please the “anti-wind farm” lobby groups. However, I believe the further progression of wind farm developments in this area is inevitable for the simple reason that there is an excellent wind resource within most of this area and we are close to major population centres (customers). Previous Previous post: How many MCGs can Australia’s wind farms power?